April 13, 2016 – San Diego, CA https://careexcellence.org/. Care Excellence provides in-depth curriculum with a multi-pronged approach designed to train, keep, and improve the skills of care managers at all levels of experience. You may access the wide range of curriculum by purchasing the entire series, an individual course, or a specific module. Care Excellence Foundational courses from May until December of 2016. The Leadership courses will begin in June and continue to roll out through the end of the year. In 2017 we will launch our Advanced courses from January through May. Please sign up for our newsletter or download the flyer to stay informed! There are three educational levels, designed to give your case management team, the specific information and training they need. Foundational – This level teaches essential skills to those of all disciplines and new to care management. And for those with some experience, this series provides a solid a review of fundamental knowledge and skills. Advanced Concepts – This level has been developed for the more experienced care managers and other professionals working with growing and diverse populations with special and complex needs. Leadership – These courses are usually in-person and build solid case-management leadership skills through full and partial-day courses focused on communication, collaboration, critical thinking, mentorship, and cultural change. Many of the programs offered by Care Excellence are designed for flexibility and customization. Please give us a call with any questions. 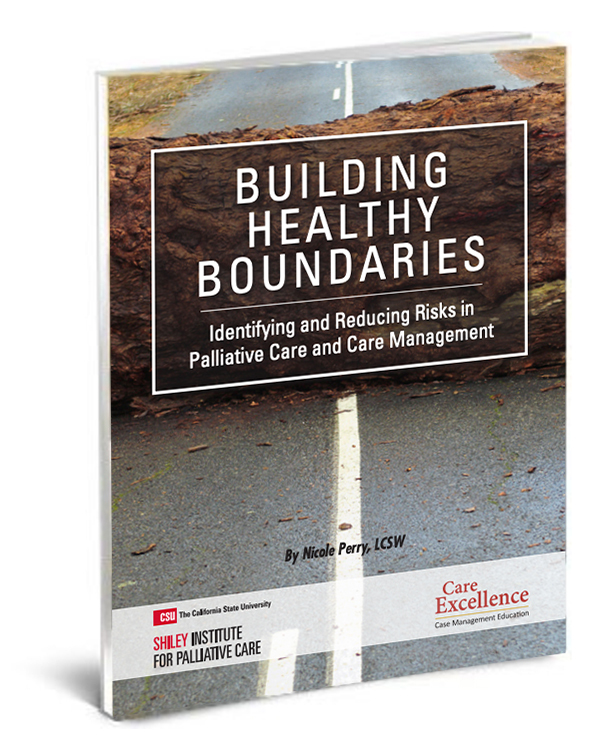 The Care Excellence project was envisioned and managed by the California State University Institute for Palliative Care, leveraging its expertise in collaborative partnerships, curriculum design, and online learning. Funding for the project development was generously provided by the California Health Care Foundation and The SCAN Foundation.